The absence of garden tasks is taking its toil on the soul of Jack, dearest reader, so his mind has taken to rambling, oft-times reiterating what has already been mulled over already. So here I am, foisting the dregs of the brew of my mind’s fermentations onto you. This is all apropos of nothing, pure selfish catharsis. I’m not supposed to admit that? Oh, then disregard that dearest reader, instead let us pretend this is educational. Education is important. Look at me, I wouldn’t be where I am without an education. Hard to tell if that an admonishment, a caution or an indictment on education, eh? Jesting of course, why who wouldn’t want me to me. That’s why you’re really here after all. Every one want to be like Jack. Even I can’t tell if I’m serious any more, befuddled reader. So, chocolate. The salt and pepper of the confectionery world. That ever present covering, coating, slathered in plentiful supply on everything. To quote the philosopher, Popeye: Phooey to it from me! I’ve been dealing with my histamine intolerance for, let’s say, about three years now. It was the last piece of the puzzle of my ailing body. I spent a long time assuming that the red, raised rash and the constant itch was just the way I’d be from here on out. I was still on the tail-end of the high of being gluten and nightshade free, that time when anything other than not sick is a benediction from heaven. Now, having drunk the milk of happiness down to the bitter dregs I too am bitter. I’ve been without chocolate for the better part of two years now and I’m still tired of how it dominates everything. Again, I’m not looking, nor offering, solutions. I gave up a lot when I gave up chocolate, a lot of pain and discomfort too, but also so many little joys. There doesn’t seem to be a recipe that’s free from, I can’t call it the brown anything!, er, the histamine-rich thorn in my side. I suppose what’s worse is as well as having a sweet tooth I also enjoy chocolate. Enjoyed now. Now I know you know me to a point. I don’t really moan that much. Right? Man, I hope so. But what’s really depressing about a no-chocolate section to my dietary life is that there isn’t much thought given to it. It’s either: Oh, no, I couldn’t do without chocolate (Feel free to substitute bread etc) or the: At least you have x. Dear, straw-man, I’ve given up everything I ever classed as my favourite foods, my sometimes enjoyed foods and more. So, if you, hypothetical antagonist that you are, want to lecture me I’ll light you ablaze. I suppose I make the same plea I often make: Try something new. If you can eat chocolate then maybe, just maybe, try making something without it on occasion. A recipe here and there without something you’re used to could be a boon to someone like me. I branch out here and there. I try making recipes for diets I don’t need to follow. Maybe we could just do without chocolate for a brief time? Oh, but I can see you, dear reader, grubby with chocolate, your tubby face looking at me in astonishment and terror. Go eat your chocolate. But spare a thought for those without. And, yes, I’m envisioning you as a fat toddler eating a candy bar. Take that! Now, if you’ll excuse me I’m off to twiddle my thumbs and await spring. I hope this has been taken in the spirit of fun as it was intended, no hard feelings. Still, for those who can’t eat chocolate, I feel for you my brothern and sistern. The next month will be a chocolate coated hellscape. At least we’ll have, er, well, we’ll have our bitterness. And isn’t that the true meaning of Christmas? No? Oh, well, go eat your chocolate and bite me. (Thus I lost most of my readership). Okay, see you all later. New recipe might be incoming in a few days. How did I never upload this? I don’t do chocolate these days, been a year or more now, but I’ll toss this up regardless. It’s part of something bigger I have planned, stay tuned for that. 1. Combine Nutella and Milk in Plastic Jug. 2. Microwave on high heat for 2 minutes. 3. Whisk until Nutella has melted into the Milk. 2. Mix Egg White, Vanilla Extract and Nutella with a fork. Beat until mix is stiff and clinging together. 3. Mix in Cocoa Powder. 4. Roll into small, 1/4 inch, balls and place 2 inches apart. 5. Bake for 10 minutes, or until outside is dry. 6. Let cool on tray for 5 minutes and then transfer to rack and let cool. Use any Citrus fruit in place of Lemon. For a Chocolate Version use an Orange, Dash of Vanilla Extract and 1 Tsp Cocoa Powder. If nothing else it was fun. The top is Ganache. 2. Place Nutella in glass bowl and melt in microwave for 20 seconds.Let cool completely. 3. Crack eggs into bowl and mix using electric mixer for 5 minutes or until tripled in volume. 4. Add eggs 1/3 at a time to Nutella and stir using spatula until completely combined. 5. Pour mix into cake liner in cake tin and bake for 20 minutes or until knife comes out clean. 6. Place tin on wire rack and let cool completely. 2. Put the Desiccated Coconut onto a foil covered tray and place into the preheating oven. Cook until brown. 3. Place Nutella in glass bowl and melt in microwave for 20 seconds. Mix in Roasted Coconut and Cocoa Powder. Let cool completely. 4. Crack eggs into bowl and mix using electric mixer for 5 minutes or until tripled in volume. 5. Add eggs 1/3 at a time to Nutella mixture and stir using spatula until completely combined. 6. Pour mix into cake liner in cake tin and bake for 20 minutes or until knife comes out clean. 7. Place tin on wire rack and let cool completely. Turn upside down onto plate. An almond cake topped with Lemon curd and a Buttercream edging. I think every cook and baker has one of their own creations that they’re especially proud of, the flourless nut cake is mine. It’s not a complex recipe, but it’s flavour can’t be beat and the possible variations are endless. A dense sponge like texture and a light buttercream make an amazing combination. How to Line your Tin can be found here. Best Baked in lined 26 inch spring-form pan or large pan. About one inch of batter with no rising. 150g Icing Sugar and 40g Butter make perfect amount of Buttercream. 2. Put all ingredients into a bowl and mix, using an electric mixer, until smooth. 3. Pour mix into lined cake tin and bake for 20 minutes or until knife comes out clean. 4. Place tin on wire rack and let cool completely. A chocolate cashew butter cake with chocolate buttercream. Fruit Cake: Add 50g Frozen Berries to the batter. Cashew Banana Bread: 70g Cashew Butter, 1 Ripe Banana. Cashew Butter works best as a plain flavour base. Carob: Add 28g Butter to the mixing bowl and melt in the microwave on a low heat, let cool for a minute and beat in 17g Carob Powder, mix until a thick and glossy paste is formed. When paste is cool add everything else and bake as normal. For Cake: 70g Cashew Butter, Zest of 1/2 Lemon, 1/2 Tsp Ground Cardamom. For Syrup: 1/4 Cup Sugar and Lemon Juice, boiled on a high heat for a few minutes and let cool. For Buttercream: 2 Tbsp Lemon Syrup, 1/4 Tsp Ground Cardamom. Add Zest and Cardamom along with everything else and bake as normal. 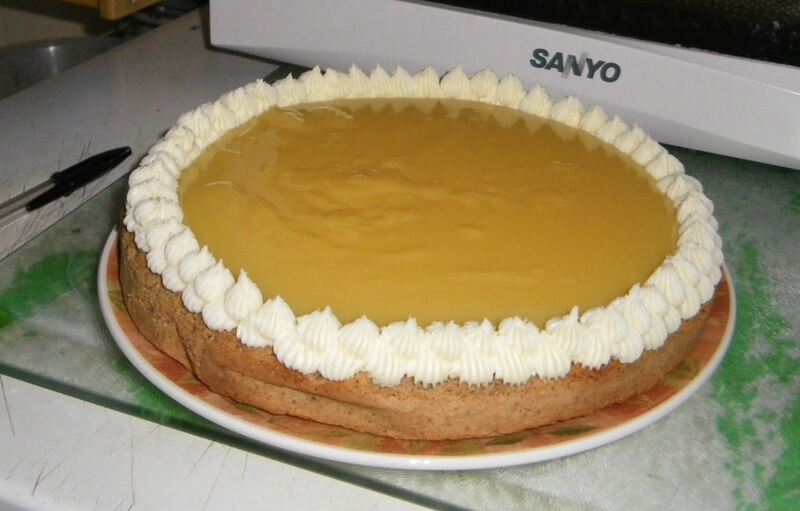 When cooled brush the bottom of the cake with a light layer of Lemon Syrup and let cake cool completely. Mix Buttercream as usual. For Cake: 1 Tbsp Cocoa Powder, 50g Milk Chocolate. Melt Chocolate in a double boiler, remove from the heat and let cool for a few minutes. Add the Cocoa Powder and all other ingredients to the bowl with the chocolate and beat and bake as normal. 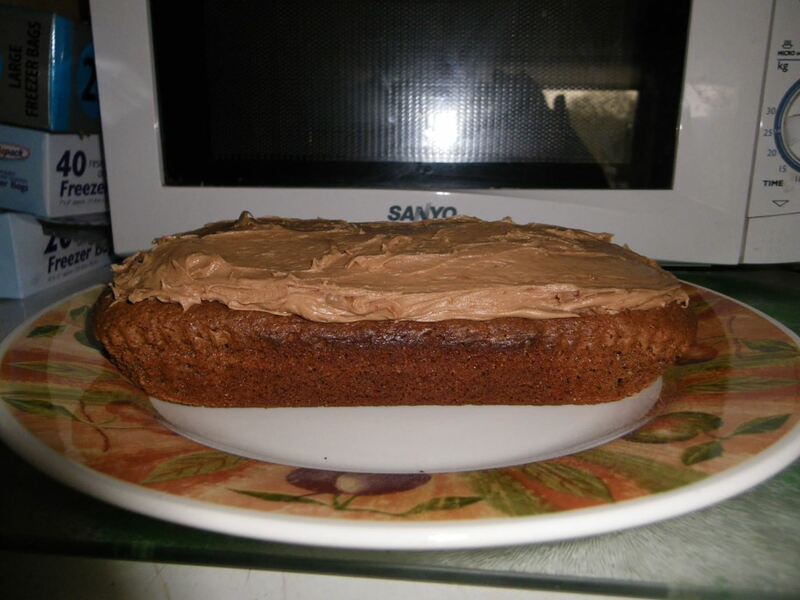 For Cake: Replace White Sugar with 100g Light Muscovado Sugar and use Almond Butter. Make Espresso Syrup and spread over the bottom of cooled cake. For Buttercream: Add 2-3 Tbsp Espresso Syrup, instead of the Milk, 2-3 Tbsp Toasted, Crumbled, Slivered Almonds alongside Butter and Icing Sugar and beat as normal. Use as much Syrup as desired, but make sure Buttercream doesn’t get too wet. Hokkaido Pumpkin: Use Brown Sugar and Almond Butter. Add 100g Steamed and Mashed Hokkaido Pumpkin and 2 tsp Pumpkin Spice along with everything else. Top with Maple Buttercream. 2. Put Egg White into a bowl and beat until frothy. 3. Sift Icing Sugar into Egg White. 4. Sift Cocoa Powder into Egg White. 5. Add Vanilla and stir gently with metal spoon until thick, but still able to drop off the spoon. 6. Drop 1 Tbsp worth of batter onto a lined tray and bake for 8 minutes or until cracked and shiny on top. 7. Let cool on tray.